For those of you on social media with me then you know I've been shouting with excitement that I'm packing my bags for Toronto, Canada this weekend. I'm flying solo for the TBEX Travel Conference, and am leaving Will at home with the kids for a very short weekend. I discussed that topic in great detail in my parenting column in the News and Observer this week. It is titled, "It's not Babysitting! It's Called Parenting." I think Will will do an outstanding job solo. 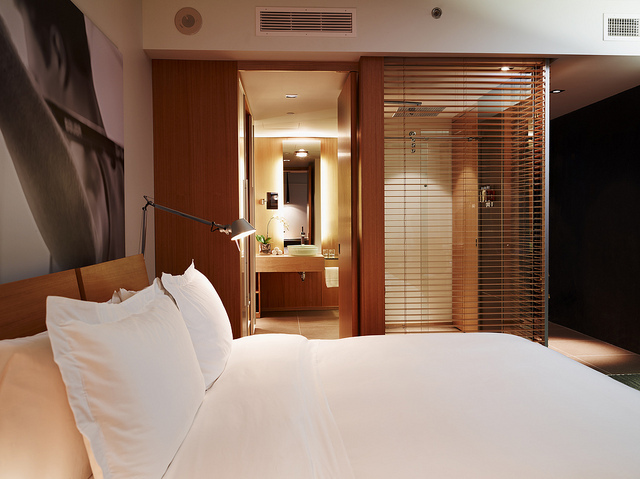 Meanwhile, my passport is ready, and I'll be checking into this lovely boutique hotel, Hotel le Germain Maple Leaf Square. The rooms have giant photos of men working out. I think I know the answer why, but will have to find out officially. I'll be joining Katja Presnal of Skimbaco Lifestyle on this trip. 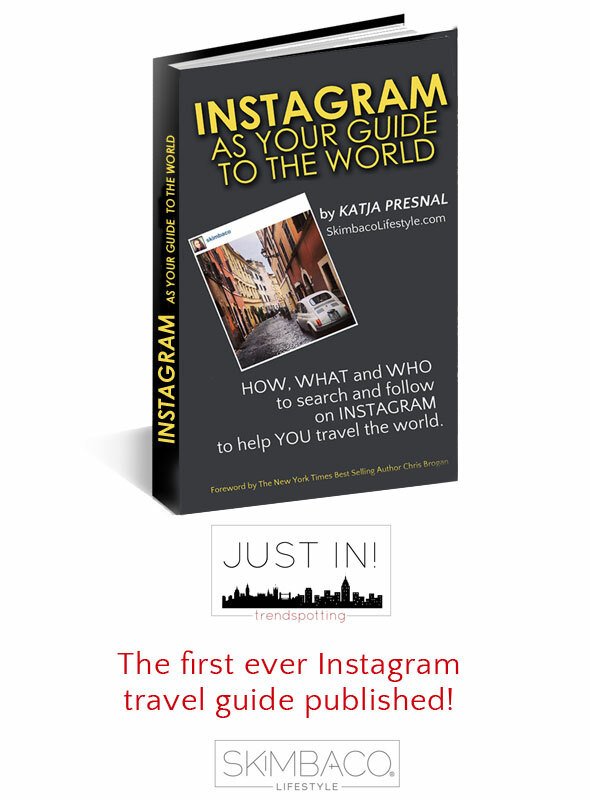 She has just written a fabulous book that will teach us how to travel the world using Instagram as our travel guide. It's the first travel guide of its kind. It's a fascinating topic that she will discuss at TBEX in a special session. I am also honored that she included me as an expert on North Carolina in her book. Thank you, Katja! Using techniques that she teaches in this book called "Instagram As your Guide to the World", you can plan a very authentic vacation just by following the locals on Instagram who live in a particular vacation destination. And here's another useful hint. Did you know that following hashtags are important? Yeah, those hashtags on Instagram can actually be useful for vacation planning. If you get a chance, check out her book in more detail. 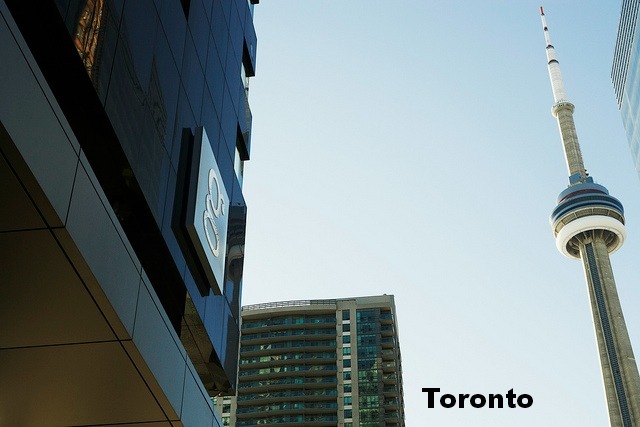 I will be back from Toronto in time to attend Triangle Restaurant Week though. I have a sitter booked, and I will enjoy the opportunity to try a new restaurant. I just don't which one yet. Mantra Indian Cuisine and Bar. I've not tried this restaurant yet. 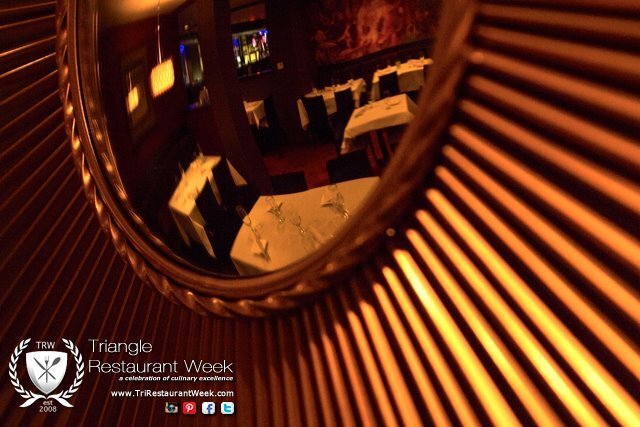 The 6th annual Triangle Restaurant Week summer event will run the week of June 3-9, 2013. During the event, participating restaurants within Raleigh, Cary, Chapel Hill, Durham and surrounding areas will offer a special, 3-course prix fixe lunch menu ($15) and/or 3-course prix fixe dinner menu ($20 or $30) each day they are open. I've not been for dinner, but afternoon tea at the Washington Duke is fabulous. Since the inaugural event, Triangle Restaurant Week has grown to reach over 1.2 million residents and featured more than 85 of the region’s eateries, generating over $500k in additional revenue to the area’s restaurants. This is really great news for Raleigh because it does get slower in the summer months because North Carolina beaches are just two hours away, and Triangle residents flock to coast. Hello, Banana Pudding from The Pit. Outstanding!!!! 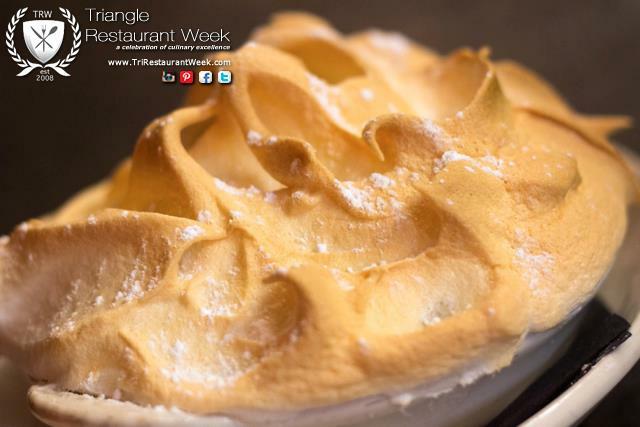 You can view a list of restaurants participating in Triangle Restaurant Week online. Reservations may be recommended for some venues. Even though I would love to hop over to Durham, I think I will stay in Raleigh when I go out next week since it will technically be a "school night." Is there a particular restaurant you would like to hear about? There are almost too many good ones to choose. I'm definitely going exotic. That I know. Talk to you when I return from Canada! My children do. I do, too. 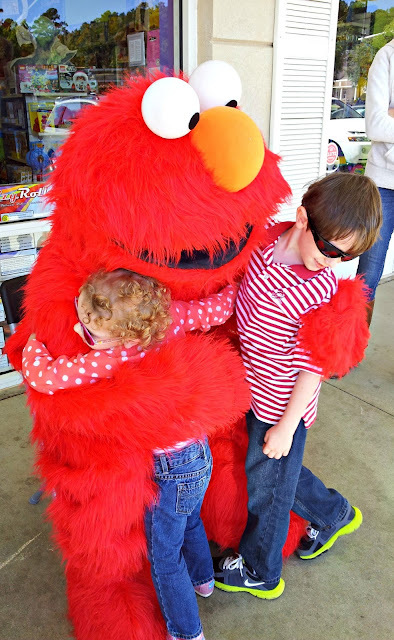 My children with Elmo last year. The default channel on our DVR is PBS Kids, and there have been several occasions where Will and I have turned off our DVR programming, and Sesame Street is on TV. All our kids are in bed, and we find ourselves watching a few minutes of Sesame Street. Why? Because it's captivating, and the writers do such a good job of bringing current situations into today's program. As "Downton Abbey" fans, we loved the skit called "Upside Downton Abbey." The puppets sounded just like Mr. Carson and the Countess. 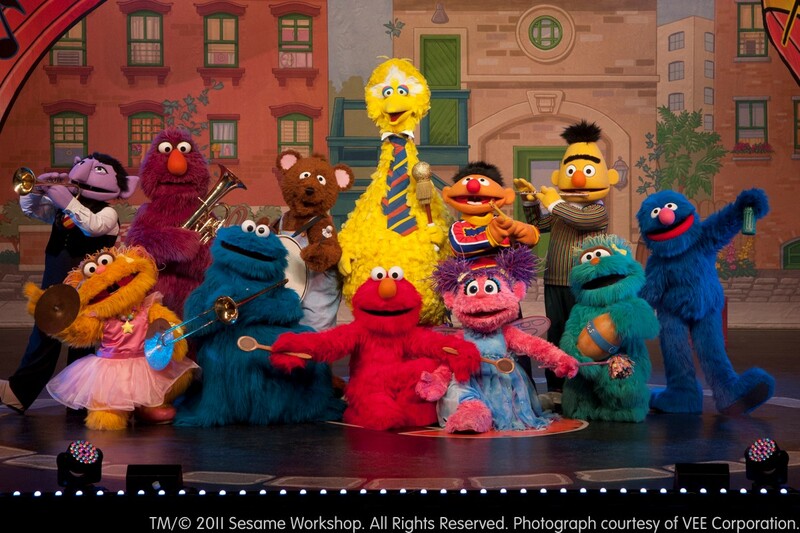 Sesame Street Live: Elmo Makes Music is coming to Raleigh, N.C. May 31-June 2, 2013. Jenny, an enthusiastic new music teacher, arrives on Sesame Street only to discover that her instruments are missing. Jenny’s new Muppet friends quickly come to the rescue and discover ‘instruments’ they never knew existed…rubber duckies, trash can lids and even cookie jars. 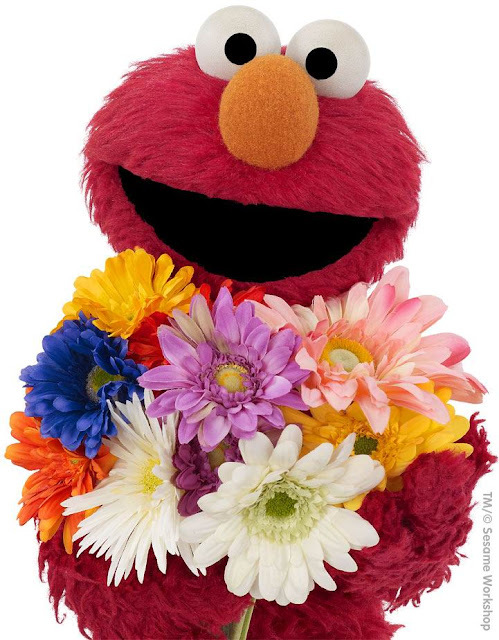 Elmo and friends teach children that everyone can make and enjoy beautiful music together! Visit SesameStreetLive.com for more information. HinesSight Blog Readers can use discount code: ERNIE - valid for $3 off the $15, $20, and $25 tickets for all performances (excluding opening night). Tickets for opening night are just $12! I won't be able to make this show which you will find out why in another post this week, but I'm sending my kids with my husband. I think they are going to love it. Disclosure: In partnership with PNC Arena, I'm helping to promote this wonderful show for families. I was not compensated to write this post, but my family will receive complimentary tickets to one performance. These days, families want to continue their children's learning experiences while on vacation. I've always said that traveling is like the world's biggest classroom. In 2013, when families go on vacation, they want to make pasta in Italy, or learn how to ride a horse while staying at a resort. Caroline Michaud with Preferred Hotels says this is the latest trend in vacations. 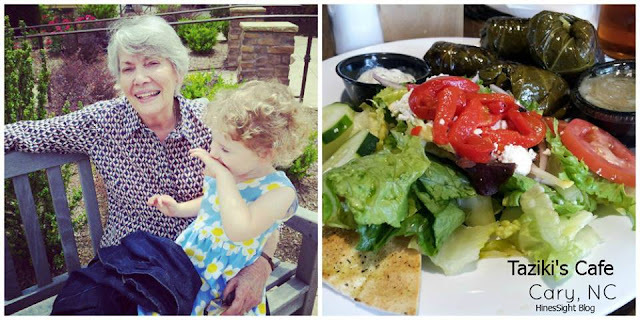 Hotels are being creative and providing more activities and learning experiences for families rather than just having guests lounge by the pool, like we did with our parents. Swimming and pool lounging is still a coveted, luxury amenity though. Don't you think? Give me a Pina Colada by the pool, and I'm a happy gal. But, the best vacation has some educational balance, too. This summer, education and vacation will go hand-in-hand for families that embark on global travels with the Preferred Family collection from Preferred Hotel Group. 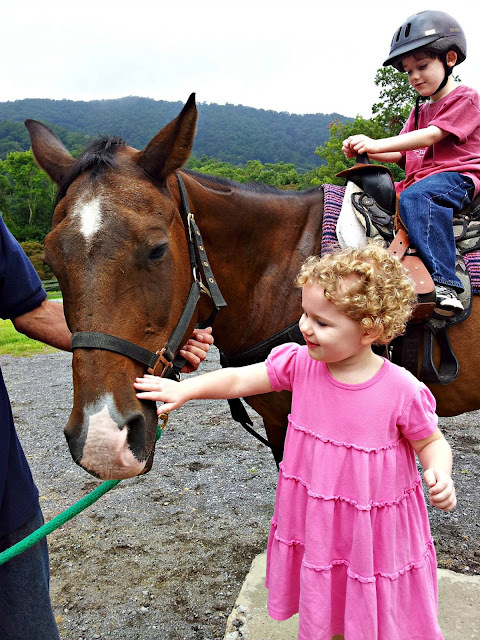 Whether raising an aspiring professional athlete or a budding historian-to-be, parents can extend the learning opportunities for their curious children beyond the classroom by visiting www.PreferredFamily.com and booking stays at more than 230 family-friendly hotels and resorts worldwide. Here are some of my recommendations for hands-on experiences in Summer 2013 after searching through their travel portfolio. It was hard to narrow down the choices because there are tons of properties out there, and the destinations look so much fun. Based on my travels, I've been pleased with Preferred Hotels and have loved my stays. My most recent was at the Old Edwards Inn and Spa in Highlands, N.C. Here are some ideas for you. 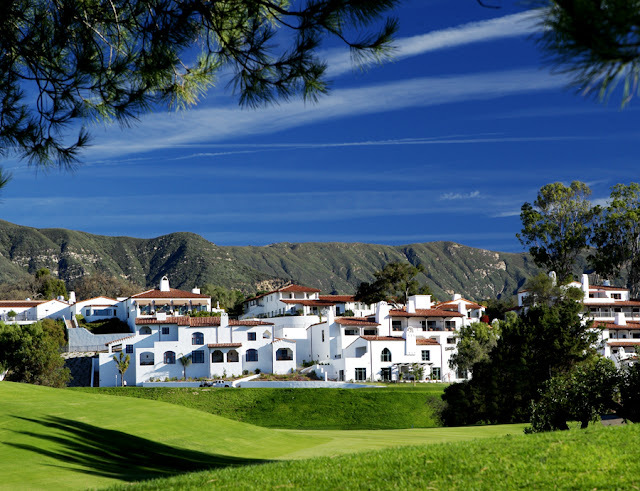 For 90 years, dozens of Hollywood and PGA Tour greats – from entertainer Bing Crosby to World Golf Hall of Famer Arnold Palmer – have tested their handicaps at the historic golf course at Ojai Valley Inn & Spa, a member of Preferred Golf located just 35 miles south of Santa Barbara. This summer, children can learn to golf for free with a new “Kids Play Free” stay-and-play package that includes overnight accommodations and a complimentary round of golf for one child (16 years and younger) when playing with a paying adult after 1 p.m. After tallying their score for the day, children can enjoy other on-property activities through the Camp Ojai (ages 3-12) and Teen Club (13-17) programs. Taking learning beyond the textbook, Crete’s famed Capsis Minoan Amusement Park – the only Minoan Mythological Park in Greece – engages children in a hands-on lesson about Minoan culture and Greek mythology through a variety of interactive games, ranging from archaeological treasure hunts to mini-Olympic trials. Families looking to experience the educational fun can stay at OH! All-Suite Hotel, a brand-new luxury home-away-from-home that is located less than 300 steps away from the amusement park and presents spacious accommodations, the best of authentic Greek cuisine, and other exciting activities and services to entertain travelers of all ages. 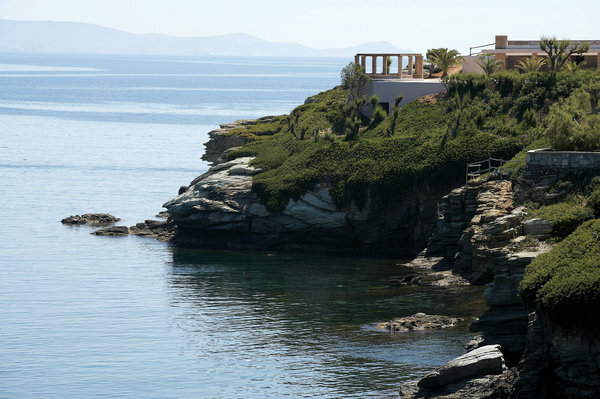 Day-trips to Crete’s historic sites such as the Minoan Palace of Knossos and the Archeological Museum of Haeraklion can be arranged. Children looking to explore their creative side can practice the ancient art of batik painting at ShaSa Resort and Residences, Koh Samui, an all-suite retreat set on a hillside along the Gulf of Thailand. Daily art classes offered at the property’s Kids Club (ages 3-8) teach the history of batik – a wax-resistant dyed fabric and a symbolic product of Koh Samui – and show them how to paint the fabric in the style of local traditions. In between painting sessions, families can explore nearby sites, which include the Samui Aquarium and Tiger Zoo and Nu Muang Waterfall, or relax while enjoying the resort’s multiple pools and surrounding gardens. The Jefferson in Washington, D.C.
From the Smithsonian and the Spy Museum to the Washington Monument and the White House, Washington, D.C. abounds with destinations where children can learn about world history. Located mere blocks from the top sites in the United States capitol, The Jefferson helps guests maximize their sightseeing time by providing complimentary house car service from the hotel to any destination within the city limits. In between the history-rich excursions, families can relax in spacious suites and take advantage of the hotel’s unique just-for-kids spa services and dining menus. For more information on Preferred Family and to book special offers from its certified hotels, visit www.PreferredFamily.com. 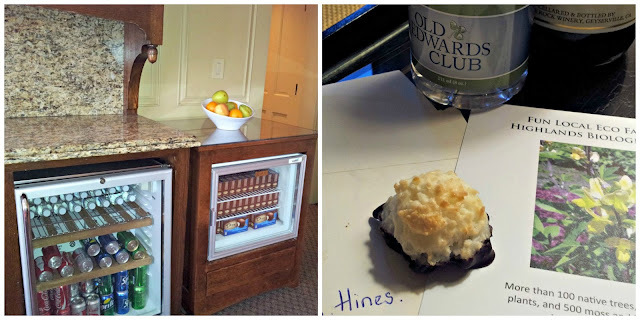 Disclosure: This is not a sponsored post, but I have visited many Preferred Hotels through the years and feel comfortable recommending this hotel membership to you based on my prior stays. I like to share some of the best hotels with my readers. If you go to any of the hotels I've selected for you, please let me know. I'm ending this week with a McDonald's gift packet for a reader because there is a new dish in town. As you know, I like to support local restaurants and businesses in my community. My Dad was in the restaurant business for more than 30 years. Even though he owned a national chain restaurant, he was still a local businessman in our hometown. 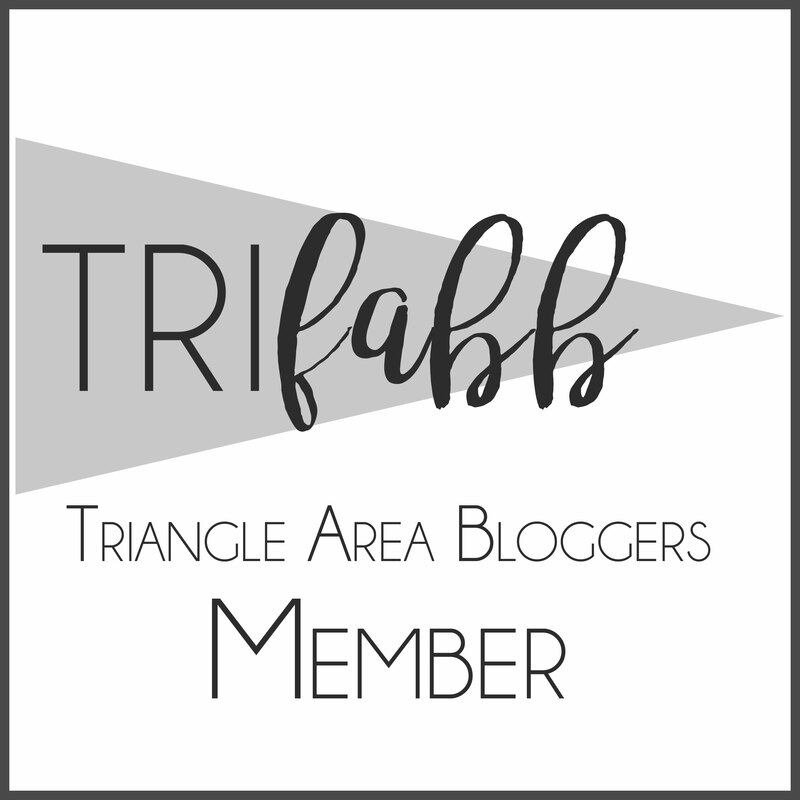 Like my Dad's business, the Triangle McDonald's are all locally-owned, and the owners do a fantastic job of giving back to the community in the Raleigh-Durham-Chapel Hill area. McDonald's support our local schools through McTeacher Nights, where they give a portion of sales to area schools. 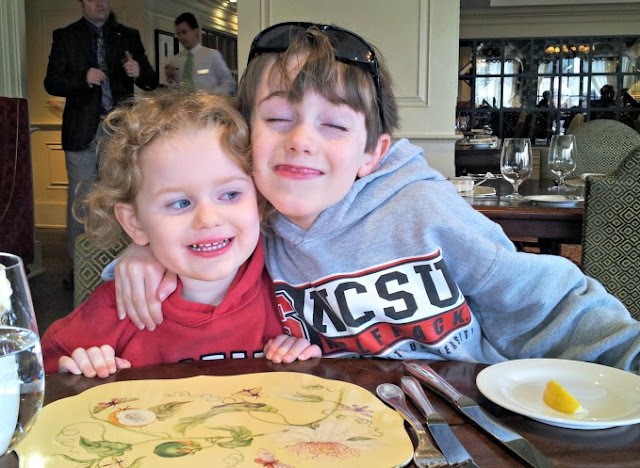 They also help support the local Ronald McDonald houses in Chapel Hill and Durham, which give families a place to stay when a child needs hospital treatment because of a serious illness or injury. 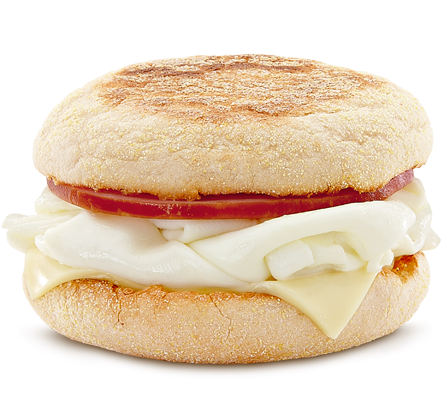 McDonald's is teaming up with me this week to let you try the new 250-calorie Egg White Delight McMuffin. One HinesSight Blog reader will receive a special gift tote from McDonald's with a $10 Gift Card. One winner will be chosen at random by Rafflecopter on Saturday, May 25 at 12:00 am EST. Participants can share this blog post on Facebook, Share this post on Pinterest, Share this post on Twitter, Enter via Facebook, or leave a blog post comment to receive entries. 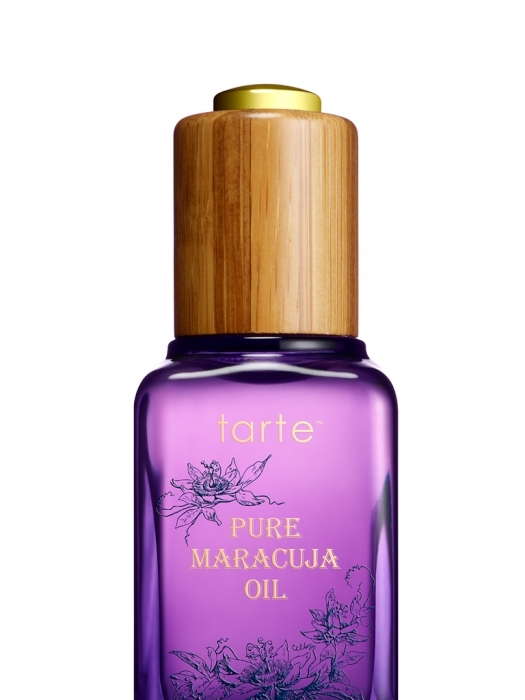 The participant can receive multiple entries or enter this giveaway by completing just one entry. 5. Hit "Enter" and your e-mail address should be in the system, and you will have one entry. Disclosure: This is not a sponsored post, and McDonald's caught me on a day that I felt like rewarding a reader with prize so I said yes to this promotion because I strongly believe our local McDonald's owners work hard to be part of our community. 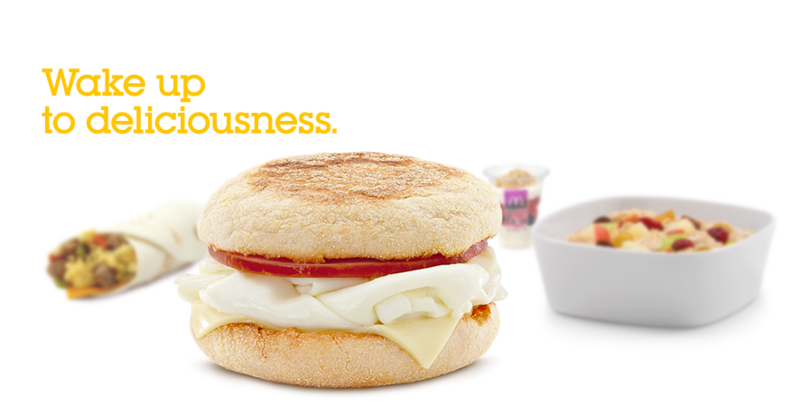 I have not yet tasted the Egg White Delight McMuffin because I like to order the oatmeal, and a latte when I visit. 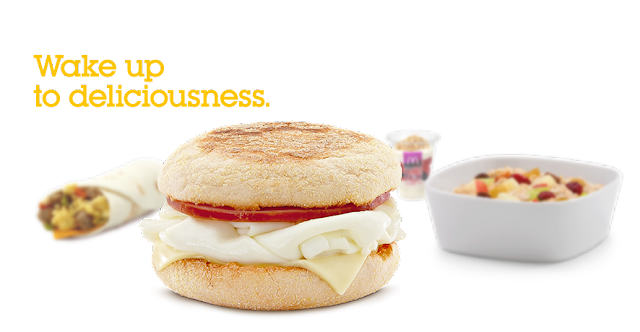 As a local blog ambassador for Triangle McDonald's, I have received coupons to try new menu items, and have used their free Wi-Fi on many occasions. Thank you for the Wi-Fi, McDonald's! It's a great perk. Need a simple entertaining menu for a crowd? I’ve got a great a menu for you. A taco-themed dinner party worked well for my extended family last week, and I would use the same menu again in a heartbeat. My father-in-law’s twin brother was in town from Atlanta, so we entertained him along with my husband’s family, who also live in Raleigh at our home. It was a chilly weekend here, so we decided against grilling. 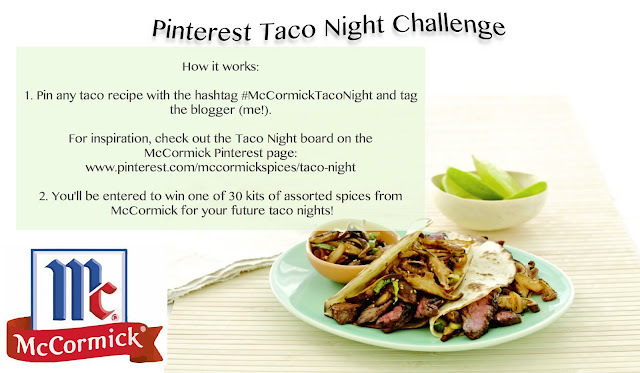 Prior to hosting my family, I accepted a campaign to be part of the McCormick Pinterest Taco Night Challenge. After looking over some of the recipes that McCormick sent me, I decided that many of the recipes could be used for easy entertaining and work well for a crowd. 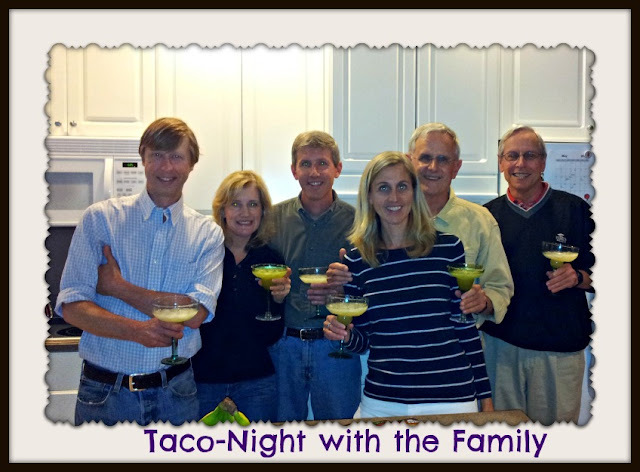 Taco Night is great for entertaining because it doesn’t break the piggy bank. It’s simple, and it feeds a crowd with ease, with very little preparation by the host. 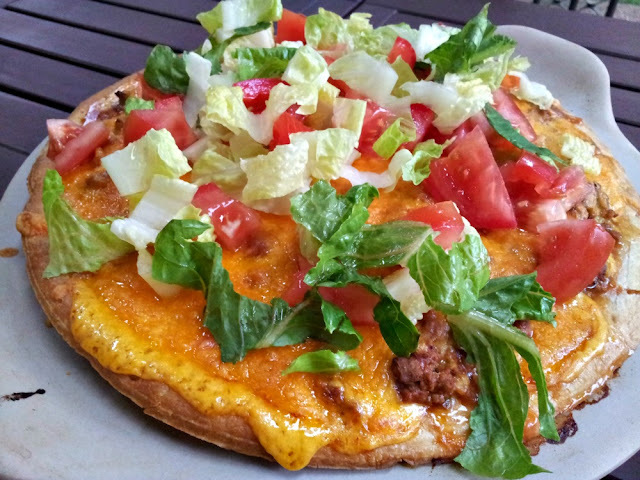 The taco, taco pizza, and guacamole recipes all came from McCormick. Now, I’m sure you make tacos all the time, so I’m not going to share that recipe, but I did use ground turkey, and McCormick Taco Seasoning Mix. Simple and easy. The other recipes were DELICIOUS. They are keepers, and I will serve them again as family entrees. 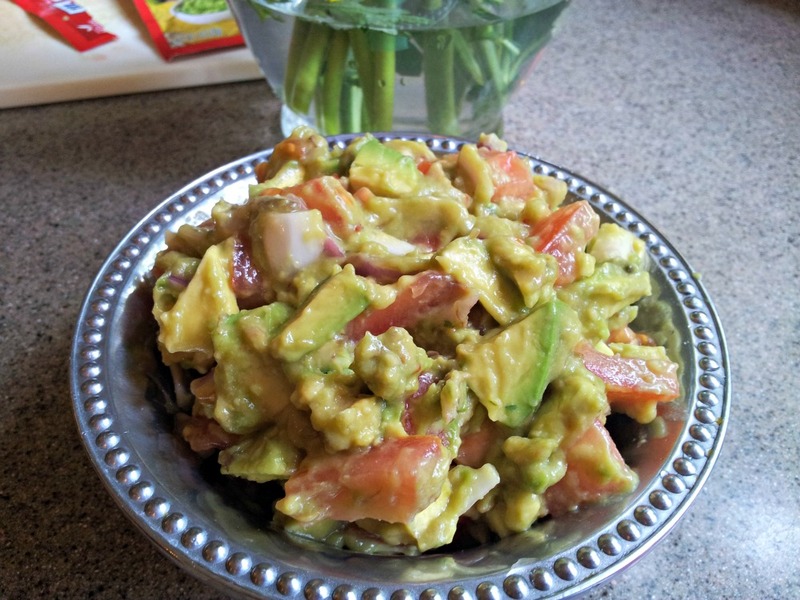 Mix avocados, seasoning mix, tomato, onion, and lime juice in medium bowl. Cover and refrigerate at least 30 minutes or until ready to serve. Stir before serving and serve with tortilla chips. Preheat oven to 450 degrees. Brown meat in large skillet on medium-high heat. Drain fat. Stir in seasoning mix, salsa, and water. Bring to a boil. Reduce to low; simmer 5 minutes, stirring occasionally. Place pizza crust on baking sheet. Spoon meat mixture over crust. Sprinkle evenly with cheese. Bake 12 to 15 minutes or until cheese is melted. Top with shredded lettuce and tomato. Enter to win your own McCormick spices to have your own Taco Night at your home. Pin my recipes on Pinterest, and you’ll be entered to win. Here’s how! The contest is open until May 31, 2013. 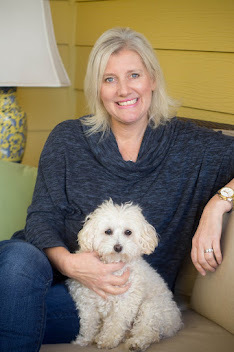 I am Leigh Hines of Hinessightblog on Pinterest. Also, join me on Facebook. 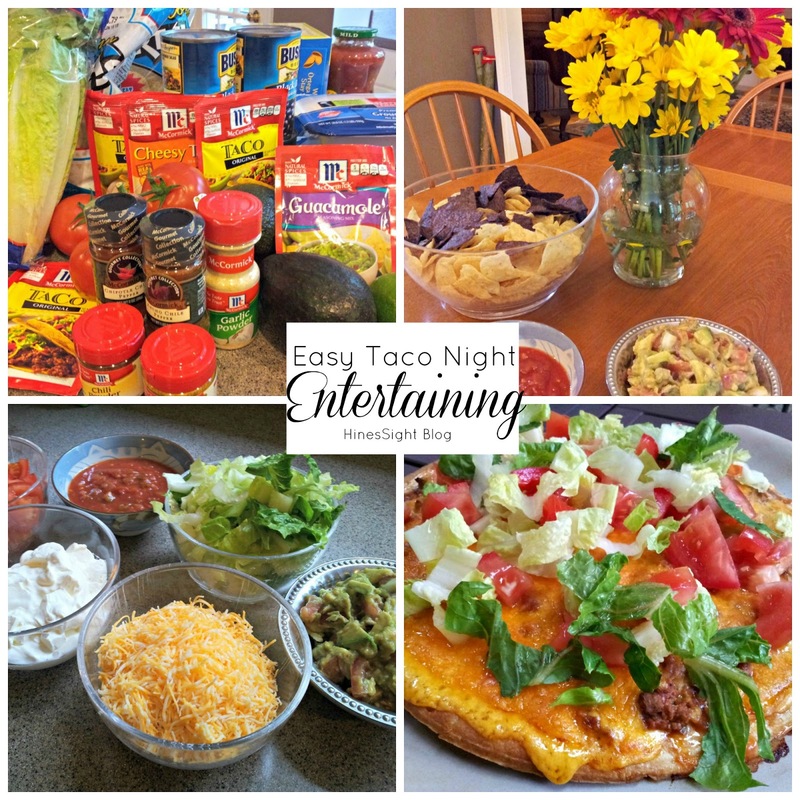 Browse the McCormick Pinterest Page and take a look at some other Taco Night ideas. Pin any taco recipe with the hashtag #mccormicktaconight and tag me (@hinessightblog) to be entered to win an assorted spice kit of your own! 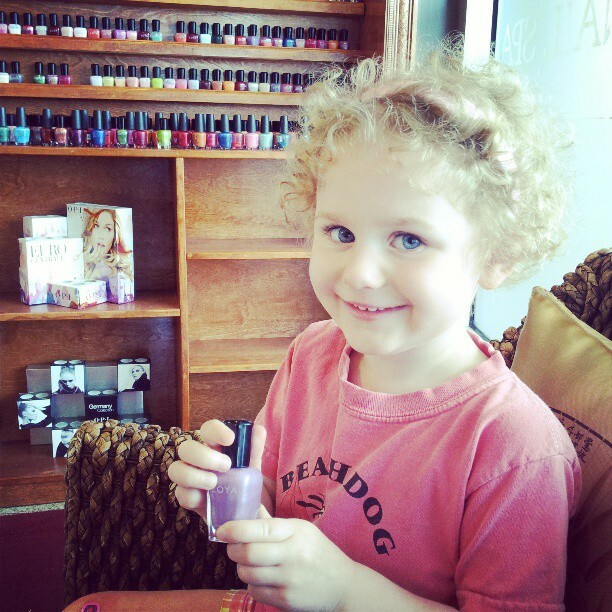 Disclosure: This is a sponsored post by The Motherhood in conjunction with McCormick. I was compensated for my time to write this post, and I received McCormick taco seasoning, spices, and a $25 stipend for groceries. This dinner party cost more than $25. As always, my opinions are my own. I loved these meals, and will entertain friends this way in the future. Pack Your Bags: A Traveler’s Look at the Old Edwards Inn and Spa in Highlands, N.C.
Nestled in North Carolina’s Blue Ridge Mountains in Highlands, near Georgia’s border, is one of the best luxury hotels and spas in the United States. TripAdvisor says so. So do Conde` Naste Traveler, and Travel andLeisure. And now I say so! This beautiful terrace was outside our bathroom door. 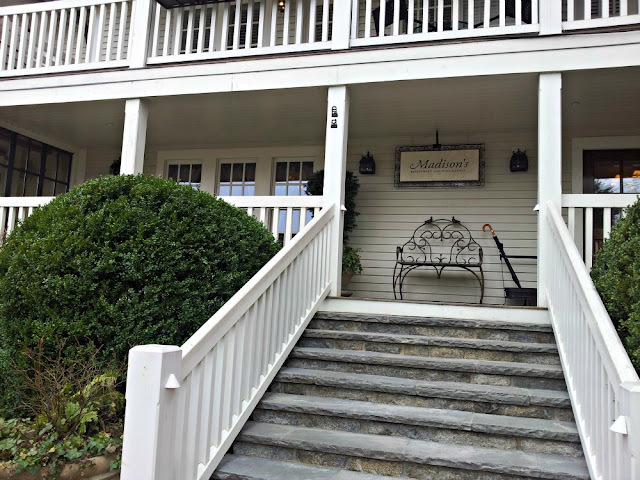 No question that Old Edwards Inn and Spa in Highlands, North Carolina, is one of the best check-ins, but it’s also one of the most beautiful hotels that I’ve visited in my home state, and probably one of the loveliest and most comfortable inns that I’ve encountered in my travels thus far. Every room is like stepping onto the pages of a magazine, set in a European village. 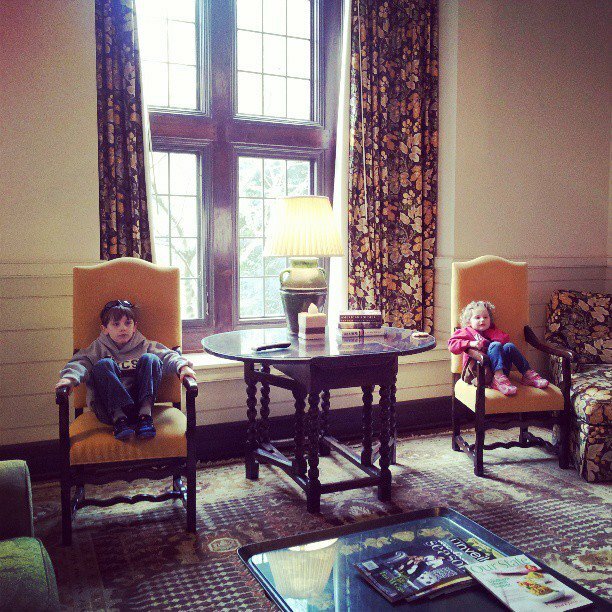 This is what we walked into after we checked in … our living room to our queen suite. 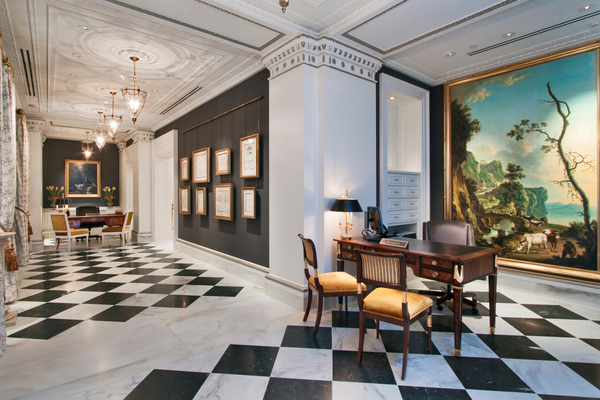 The owner of the hotel, Angela Williams, has personally decorated every room in a $50 million plus renovation since acquiring the property in 2001. 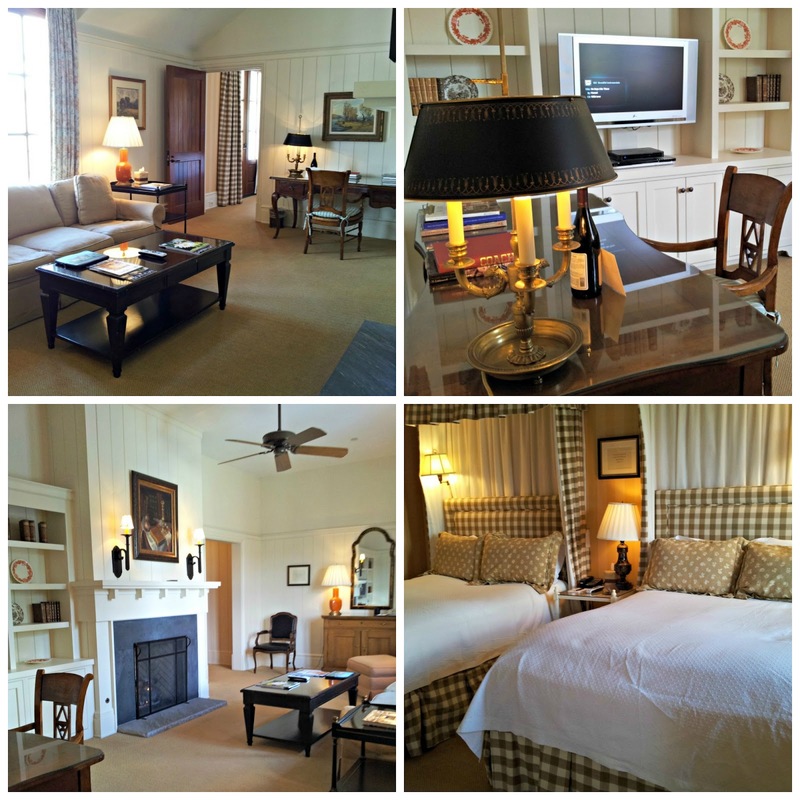 From the intimate rooms in the historic Inn to grand cottages around the property that make you feel as if you are royalty, each room is a masterpiece of style. 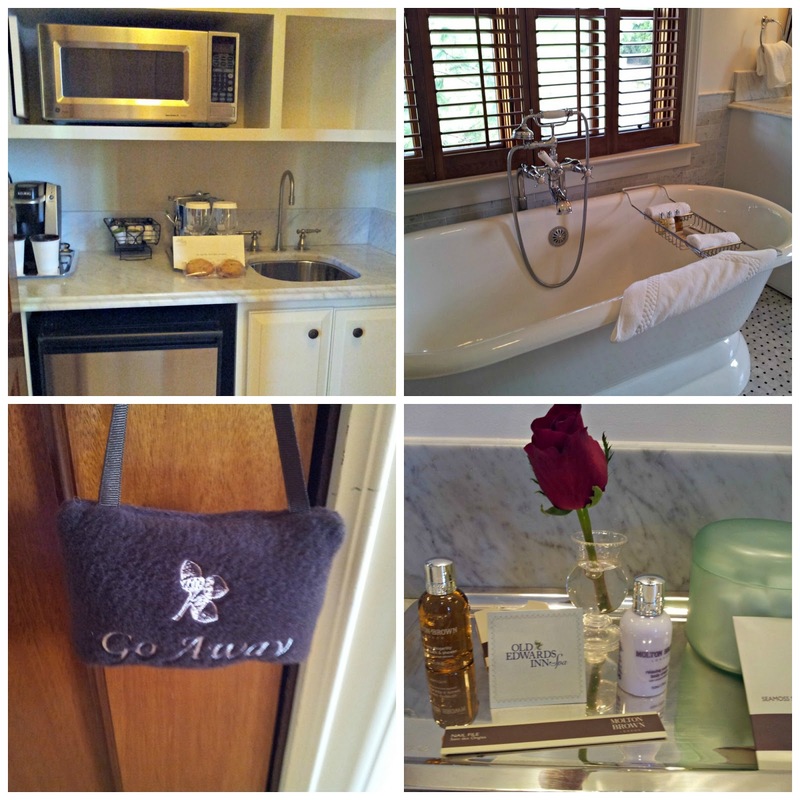 Her taste is impeccable, and each room has special luxurious details that make it truly special. 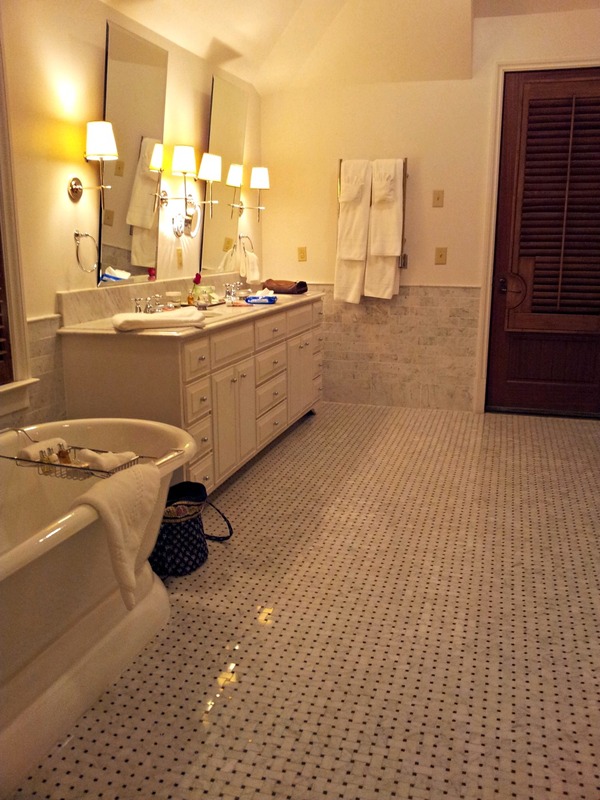 Heated towel racks, heated bathroom floors, plantation shutters, Molton Brown bath products, Italian linens, in-house mountain-brewed coffee, and plush bedding make Old Edwards five-star luxurious, but the complimentary butler’s pantry with Dove Ice Cream bars, homemade macaroons at turndown, and the warmth of staff make you feel as if you are staying with family. 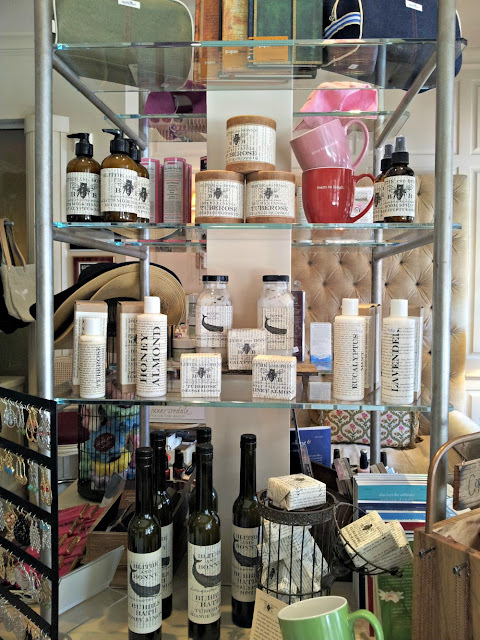 The Butler's Pantry is located in the main building of the Inn. We stayed in the gorgeous Hickory Queen Suite for two nights, and my poor husband didn’t leave our room for over 36 hours. But if he had to be sick, this was certainly the place to be sick. He came down with some bug the day of our arrival, and I was on my own with the kids while he recovered in our room. Old Edwards staff were absolutely fabulous to us, and, unfortunately, my husband’s sickness eventually made its way to my children, too. On this trip, we tested out room service, laundry service, and housekeeping services on demand. 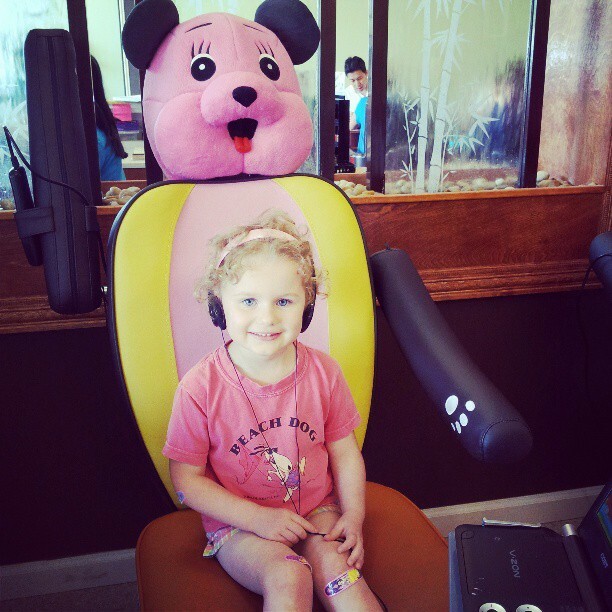 We were really horrible guests with all of the sickness, but staff never stopped smiling and catering to our needs. Yes, the floors were heated. This space was HUGE. Our huge suite, with a living room, two queen beds, and a bathroom large enough to house another queen bed, was a tranquil retreat that suited my family’s needs. 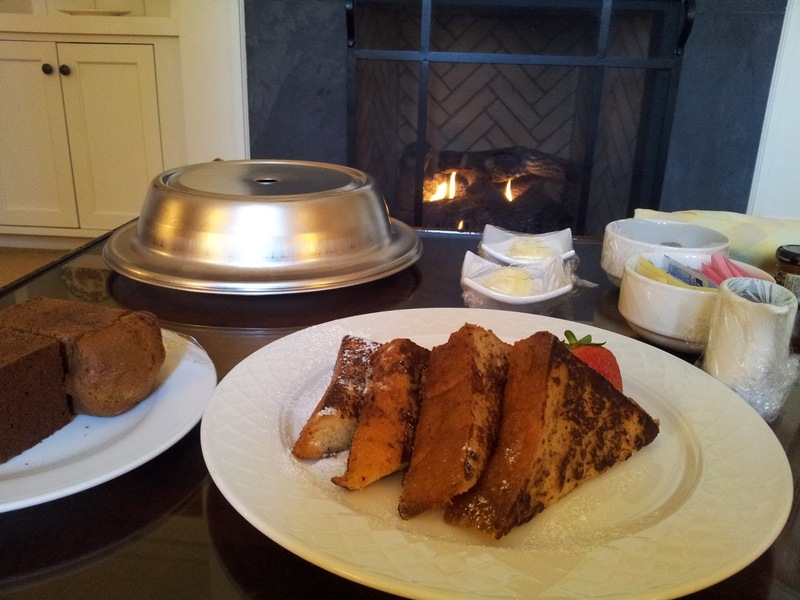 My son and I even enjoyed breakfast by the fire one morning in the living room since we were the only two well at the time. 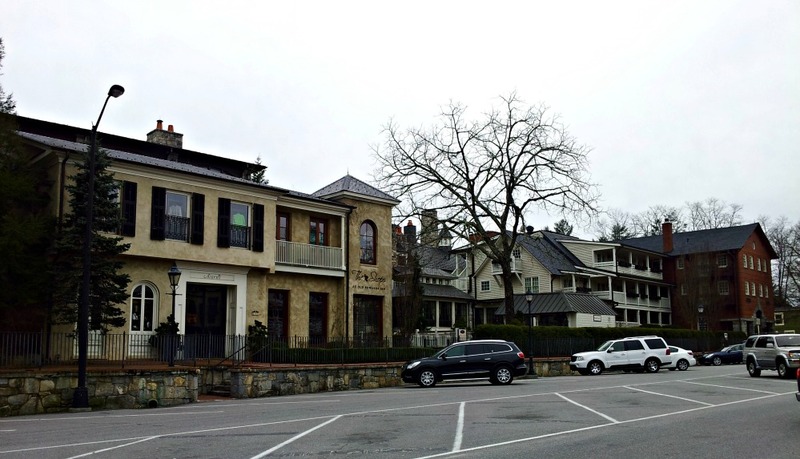 The location of Old Edwards Inn and Spa is smack in the middle of downtown Highlands, and we could walk everywhere we went. Highlands, at an elevation of 4,118 feet, is a small town with picturesque beauty. 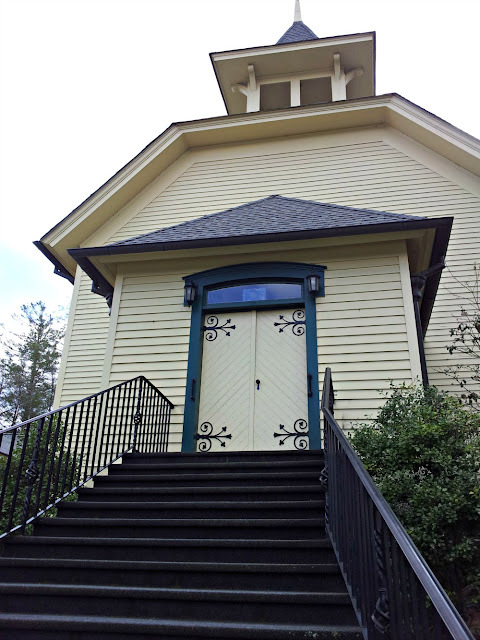 The Presbyterian Church is located on Main street. 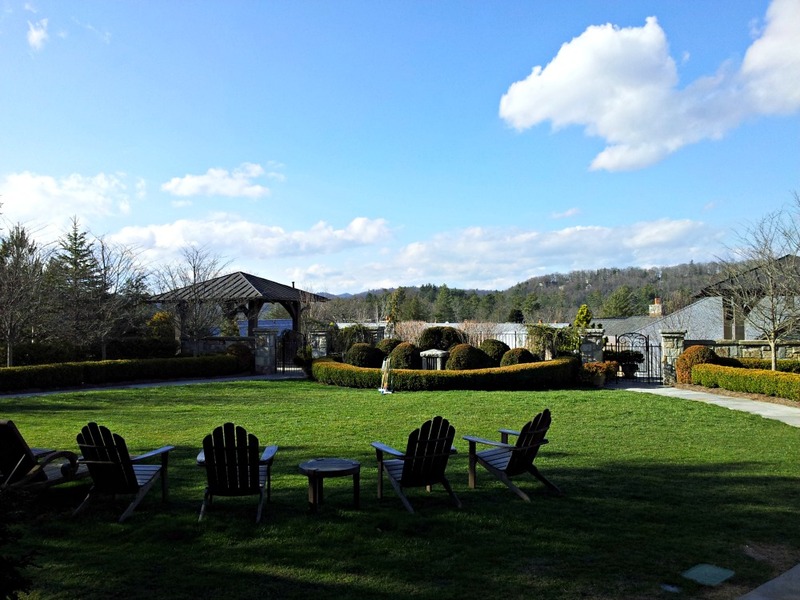 In some ways, it’s almost like the “Palm Beach” of the mountains, and caters to Floridians and Georgia natives who like to escape the humid summers of the South. Quaint shops, fine dining, and the best of nature abound in Highlands. 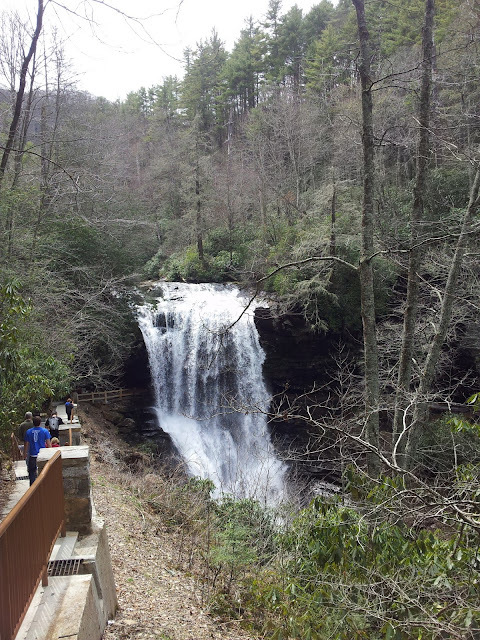 Just one of many falls in the area. Old Edwards is certainly a year-round resort destination, but the town of Highlands thrives in the summer months and can be deserted after 5 p.m. in the spring. Old Edwards Inn and Spa is at the center of it all with an award-winning golf course, spa and pool amenities, five-star dining, and entertainment for families. 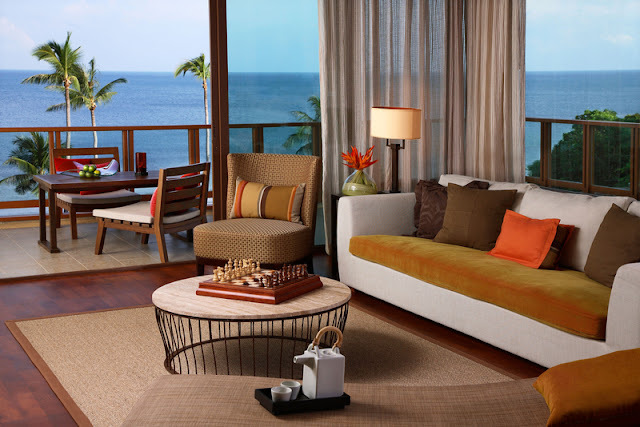 The spa is drop-dead gorgeous and exudes Old World charm with its cozy spa café and magnificent lounge area. 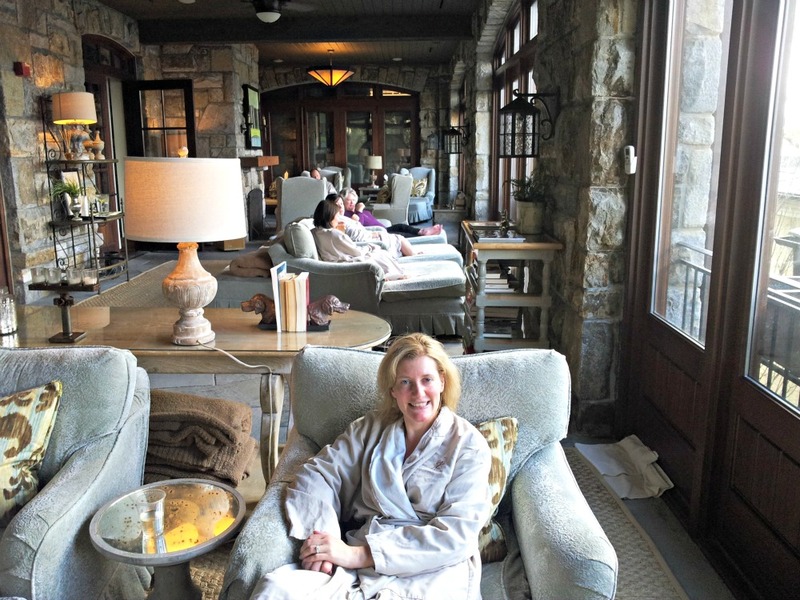 I enjoyed a glass of champagne and pampered myself with the spa’s signature facial. My experience was exquisite. 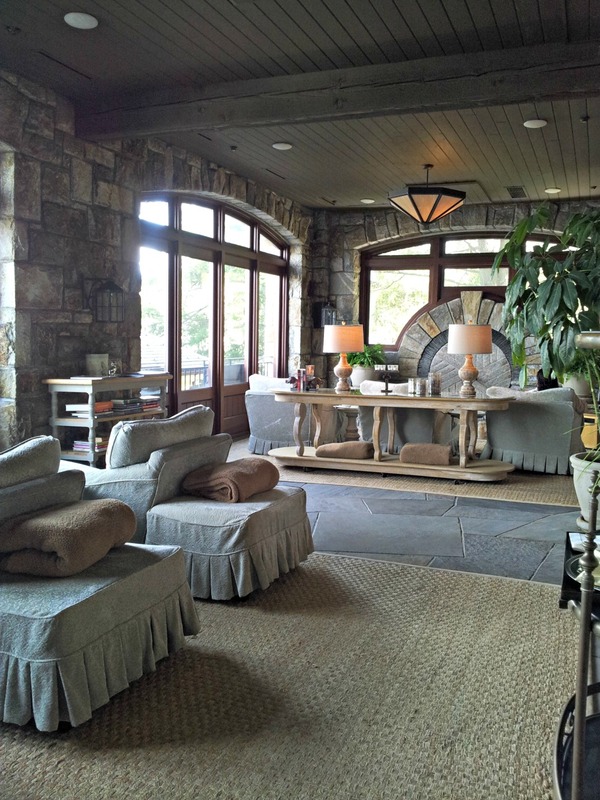 The Solarium area of the Spa is divine. The spa is opulent but not pretentious. Honestly, it’s a place where you just want to stay for hours. 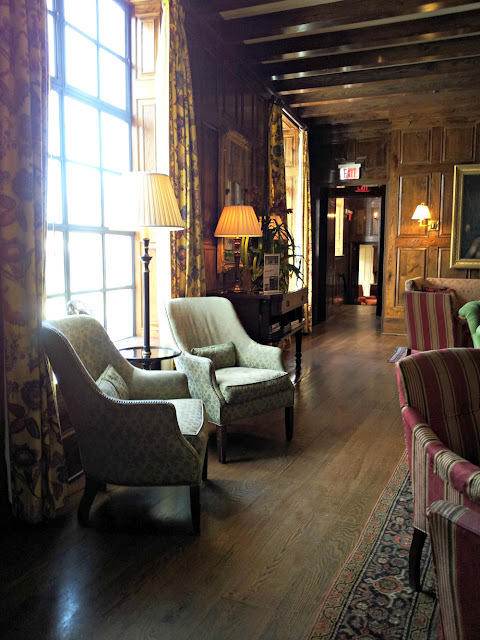 The lounge area is filled with beautiful natural light, and when you retreat to the spa café, you feel as if you have been transplanted to Europe with the rich woods and antique-type furnishings. 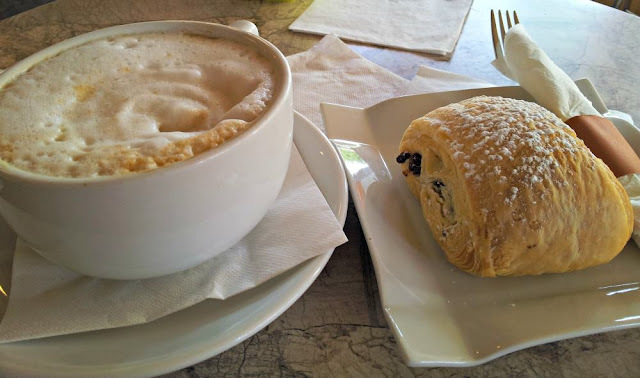 If a scone wasn’t so fattening, I bet they would serve it, but they do limit the menu to healthier, lighter options. I met several ladies who made the short drive down from Atlanta, and enjoyed chatting with them in the lounge area so much that I lost track of time. The Spa at Old Edwards really is a special place, and I can certainly understand why it has been given top spa honors through the years. The Inn’s signature restaurant, Madison’s, is located in the historic part of the hotel, which served as a boarding house in 1878. 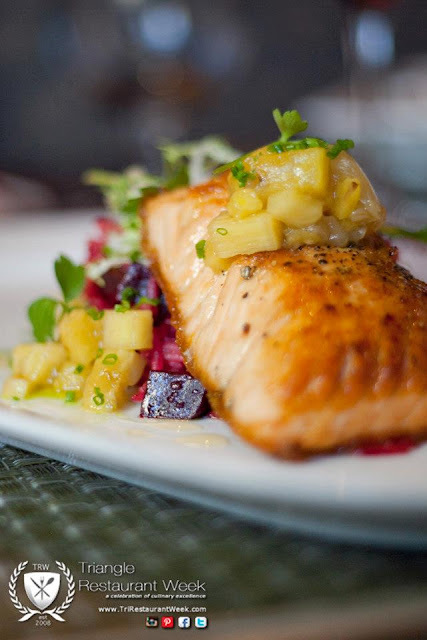 This Forbes Four-Diamond, farm-to-table, award-winning restaurant, under the direction of Executive Chef Johannes Klapdohr, focuses on serving local, sustainable ingredients. Our waiter, Jeffrey, who moonlights as “Mrs. Doubtfire” during the town’s annual Halloween festival, went the extra mile for making this fine-dining experience enjoyable for its two younger guests. 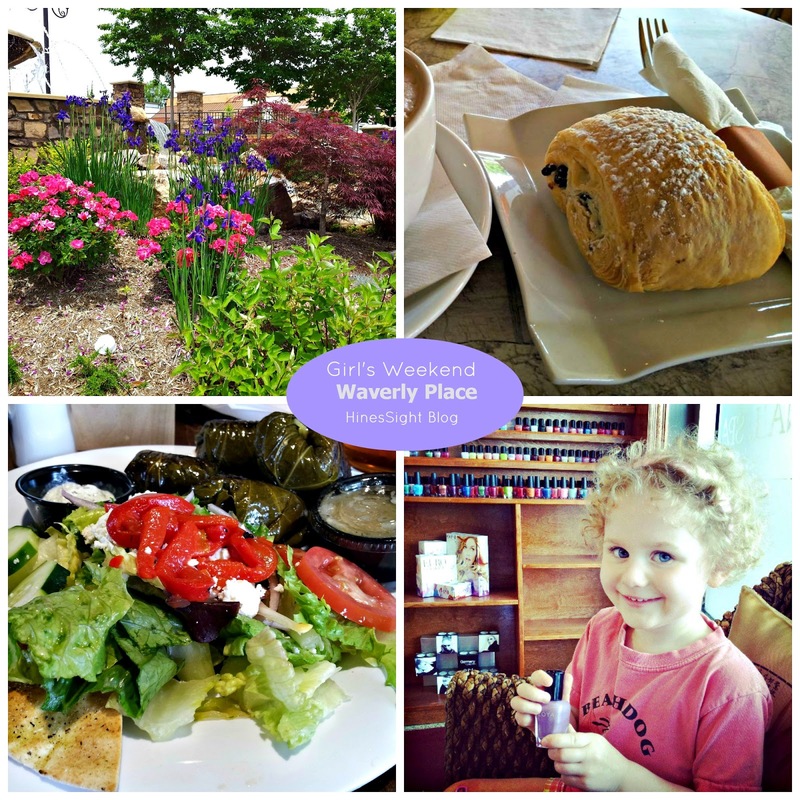 Typically, Madison’s is the type of restaurant where I would hire a sitter if it were located in Raleigh. I tend to enjoy higher-priced entrees when my children are not with me. However, when traveling, I bend the rules some and will dine in higher-end restaurants, if they are located in our hotel because unless it’s an adults-only property, hotels are used to serving children and will welcome them with open arms. 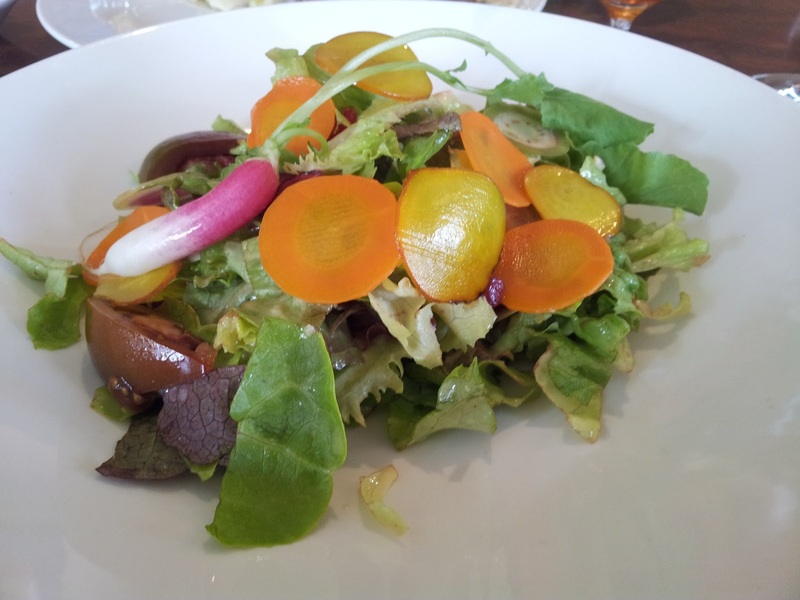 Everything we ate at Madison’s was fantastic, but the fresh salads were the most memorable for me and continue to stick out in my mind, a good month past the trip. I’m not kidding. They were so fresh and delicious. The homemade dressing was so good that I probably committed every dining faux paus there is by not leaving one piece of lettuce on my plate. It was almost like I was still dipping my fork on the plate as Jeffrey took it away. 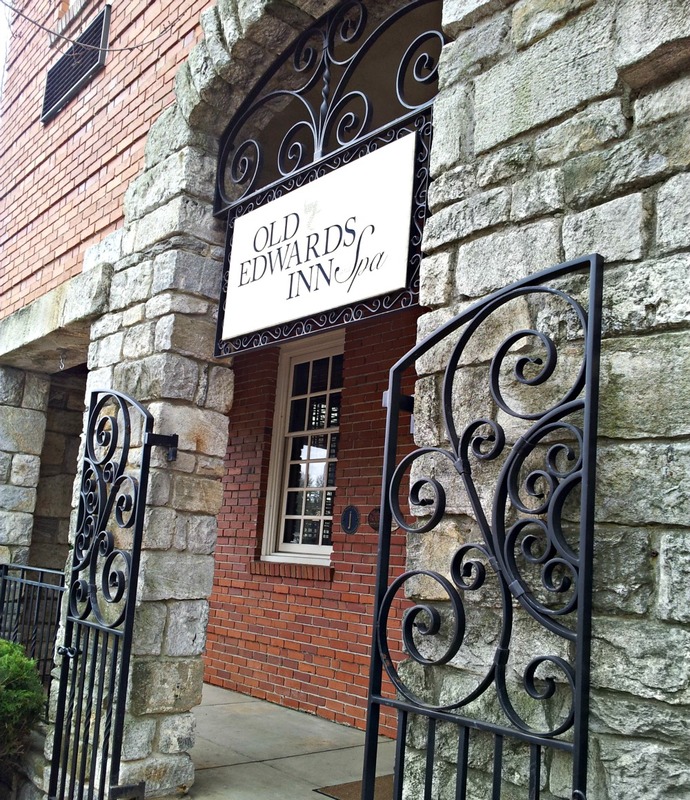 We loved Old Edwards Inn and Spa so much that we extended our stay another day. Will was finally better, so we could explore the town and surrounding area before taking on the long six-hour drive back to Raleigh. However, the Hickory Queen Suite where we had been staying behind the main inn was booked, so we moved to an English Cottage on Church Street to finish our excursion. This cottage has two bedrooms downstairs and a third bedroom on the top floor. Each room can be rented separately. We rented two king bedrooms, which gave us access to the entire lower floor in the cottage. The common living room area in the cottage. Two private king bedrooms, which are rented separately, share this space. 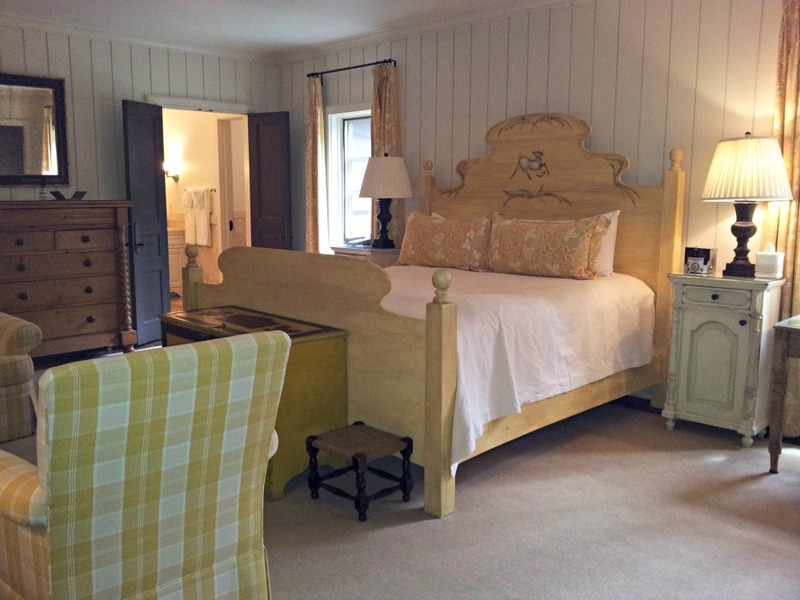 A King Bedroom in the cottage. I chose this one as my bedroom. 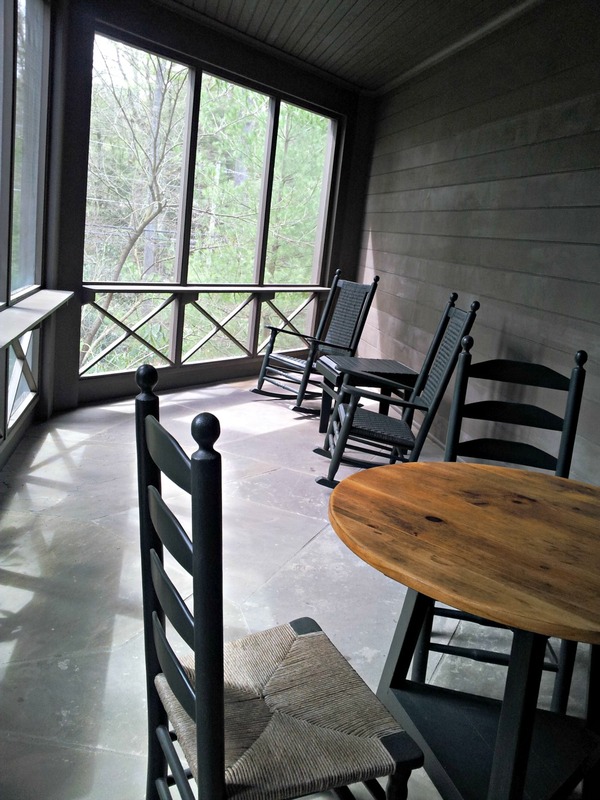 Old Edwards will open the Falls Cottages in June, and these cottages will overlook a brand new mineral pool with a special children’s area. In a future post, I’m going to share with you some photos of the individual homes and estates that are also available for rent. I didn’t see these in person, but the photos are unbelievable, and I think you would love to see the décor. 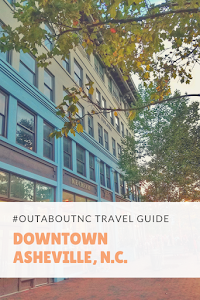 In case you are wondering, historic room rates in the main inn begin at $280 in the high season, the Hickory Queen Suite begins at $499, and the two-bedroom cottage on Church Street with a living room begins at $725 or $385 to rent just one downstairs bedroom. 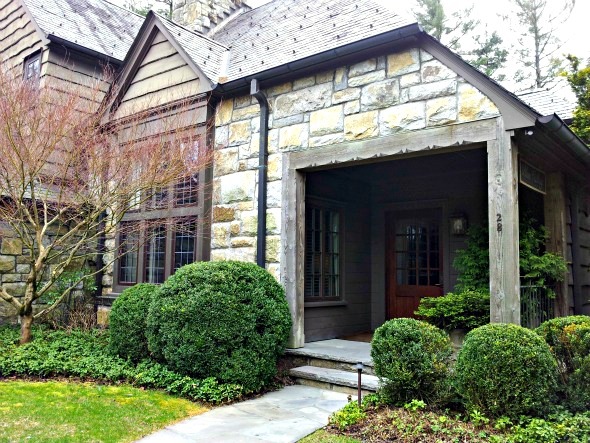 A one-bedroom suite in the new Falls Cottage will also begin at $385. Old Edwards is a spectacular place to visit, and, in my opinion, it’s another great reason to visit North Carolina. 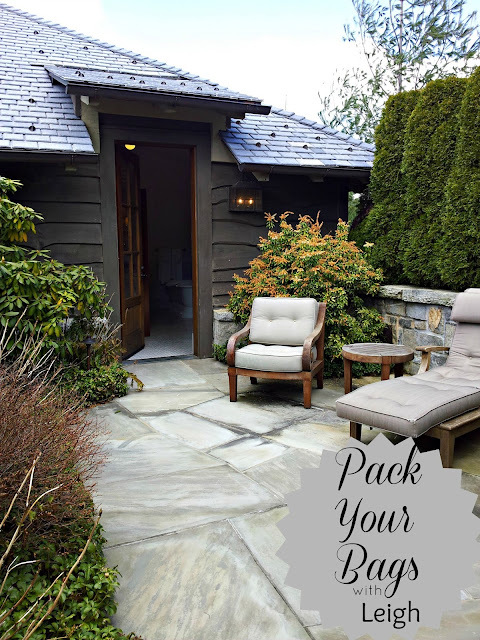 Disclosure: My thanks to Old Edwards Inn and Spa for sponsoring this "Pack Your Bags" stay. In order for me to write this feature, many amenities were included in our press package complimentary. We did have our own costs at the hotel while we stayed as guests, and received a special hotel rate for any additional nights. As always, my opinions and experiences are my own.